If games like Magic and Pokemon (Trading Card Games) are games where you build a deck to go and play each other, deck builders are games where you start with tiny decks, and part of playing the game is competing to acquire the cards to make your deck better. Most people who like the trading card games end up really liking deck building games, though they may not realize it. 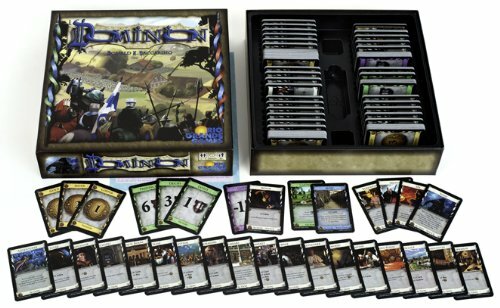 The other big difference with deck building games is that while there are usually expansions, there isn’t the collectible card component so when you buy the game, you are usually all set. The standard mechanic in the game is to have a set of cards that are used to buy stuff(usually better cards that you then add to your deck) and another that are used to defeat stuff (usually to gain you points). 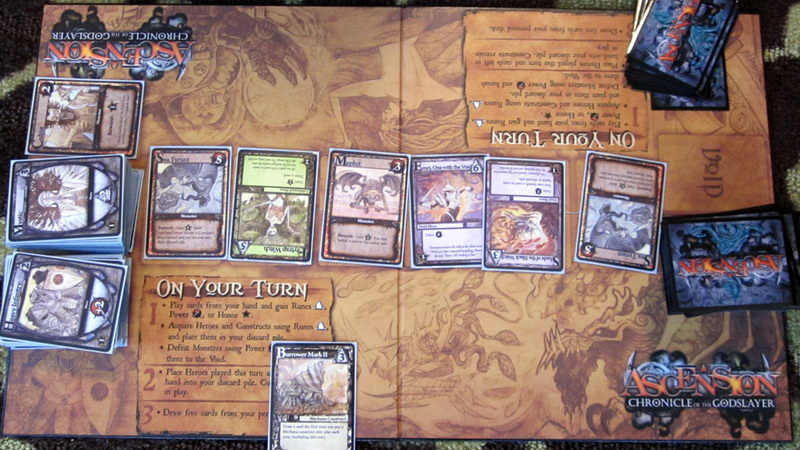 A typical starting deck for these games is between 10-12, with have drawn and played each turn. As soon as you acquire a new card, it goes into your discard pile, and when you’ve used all the cards you have, that pile is shuffled up and becomes your new deck. The more cool stuff you acquire, the better your deck becomes. Another common feature of the games is that there tend to be factions of cards that help each other out, oh, and the really great cards tend to cost a lot more. It is almost always a strategic struggle between decking to add cards that give you more of the getting stuff power vs. the attacking power. Other great deck building games include the Ascension series as well as the Marvel Legendary Deckbulder series. The most recent (and store favorite) add to the game is Star Realms, which changes the attack stuff mechanic, to attack, well, the other players…very, very, very fun.